A High Court judge has asked the European courts for a ruling on the effect of recent legislative changes in Poland because they are "so immense" the High Court has been forced to conclude that "the common value of the rule of law" has been "systematically damaged" and "democracy in Poland" has been breached. The referral was made in the extradition case of Artur Celmer, who is wanted to face trial in his native Poland on drug trafficking charges. He was arrested in Ireland on foot of a European Arrest Warrant last May. In what Mr Celmer's lawyers have called the "lead test case" in Europe on extradition to Poland, they had opposed their client's surrender in light of recent legislative changes concerning the Polish judiciary, courts and public prosecutor, among other issues. Referring the case for a ruling from the Court of Justice of the European Union today, Ms Justice Aileen Donnelly said a number of legislative changes in Poland in the last two years were "so immense" that the High Court was forced to conclude that the rule of law in Poland has been "systematically damaged". In light of the changes, Ms Justice Donnelly said the European Commission had made extensive efforts at constructive dialogue but there had been little engagement by the Polish authorities. Last December, the European Commission issued a document referred to as the 'Reasoned Proposal' for Poland. It was the first time this had occurred in respect of any Member State. Ms Justice Donnelly said the 'Reasoned Proposal' was "by any measure, a shocking indictment of the status of the rule of law in a European country in the second decade of the 21st Century". It set out, in stark terms, she said "what appears to be the deliberate, calculated and provocative legislative dismantling by Poland of the independence of the judiciary, a key component of the rule of law". Citing the Reasoned Proposal, she said the "constitutionality of Polish laws can no longer be effectively guaranteed" because the independence of the judiciary and legitimacy of the Constitutional Tribunal or constitutional court were "seriously undermined". Another European body, the Venice Commission, has stated that the merger of the office of the Minister for Justice with that of the Public Prosecutor General, the increased powers of both and the "weak position of checks to these powers result in the accumulation of too many powers for one person". If Mr Celmer was surrendered to Poland, "he will be returning to face trial in a jurisdiction where the Minister for Justice is now the Public Prosecutor and is entitled to play an active role over the Presidents of Courts. This has the potential for a chilling effect on those Presidents" with subsequent consequences for the administration of justice, Ms Justice Donnelly said. 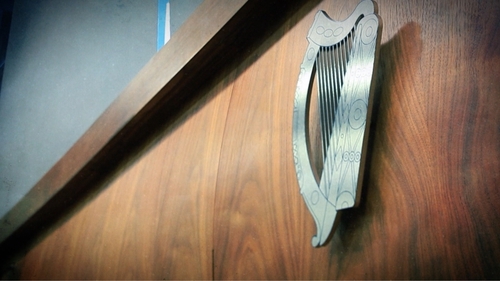 Counsel for Celmer, Seán Guerin SC, said the situation was "unprecedented" within the EU. He said the legislative changes in Poland were a "systemic threat to the entire system of the rule of law and, in that sense, it was not possible or even necessary to isolate (Celmer's) circumstances in order to establish a violation.". Mr Guerin submitted that the issues went to the heart of the European Arrest Warrant process and that assumptions of trust and confidence could no longer be relied upon. Welcoming today's judgment, Mr Celmer's solicitor Ciarán Mulholland said Ms Justice Donnelly's decision epitomised "the importance of judicial independence. Mr Mulholland said it was an "unprecedented European extradition case arising from the erosion of the rule of law in Poland". He said Poland's legislative reforms "fundamentally undermine the basis of mutual trust and recognition between Poland and the executing judicial authority. The operation of the European Arrest Warrant system involving Poland is now seriously jeopardised. This landmark case may ultimately lead to an abrupt termination of the mutual understanding between Poland and other EU Member States in extradition proceedings" - the ramifications of which were "highly significant", he said. Mr Mulholland added that this case "appears to be the lead test case within the European Union dealing with extraditions to Poland." The concerns about Poland include the compulsory retirement of a significant number of judges (which allowed for a "far-reaching and immediate recomposition" of Poland's Supreme Court), the recomposition of Poland's Constitutional Tribunal or constitutional court as well as its subsequent actions, "persisting with invalid appointments" to the Constitutional Tribunal and the prevention of lawfully nominated judges from taking up their functions. Some concerns have been compounded by additional "sensitive new legislative acts" such as a new Civil Service Act, a law amending the law on the police, laws on the Public Prosecution Office, a law on the Ombudsman, a law on the National Council of the Media and an anti-terrorism law. Ms Justice Donnelly said the legislative changes in Poland were "so immense" that "cherry-picking individual changes in the legislation is neither necessary nor helpful because it is the impact of the cumulative changes on the rule of law that is particularly concerning". She said the Polish Supreme Court has been affected by compulsory retirement and future appointments, and by the newly composed National Council for the Judiciary "which will be largely dominated by political appointees". Referring to a new regime which reduced the retirement age for female judges from 67 to 60 and for male judges from 67 to 65, Ms Justice Donnelly said that "by legislating for gender discrimination amongst the judiciary," Poland had shown a significant disregard for what is recognised in the Treaty of the European Union. It "simply emphasis that Poland appears no longer to accept that there are common European values which must be respected". She said the integrity and effectiveness of Poland's Constitutional Tribunal or constitutional court had been greatly interfered with. There is now no guarantee that laws in Poland will comply with the Polish Constitution. "The recent changes in Poland have been so damaging to the rule of law that this Court must conclude that the common value of the rule of law" as well as "democracy in Poland" had been breached. She reiterated that "respect for the rule of law is essential for mutual trust in the operation of the European arrest warrant" process. She said it was difficult to see how individual guarantees can be given by Poland "when it is the system of justice itself that is no longer operating under the rule of law". She said it was necessary for the High Court to request a ruling from the European Court of Justice before making a final determination. The precise wording of the referral to Europe will be argued before the court next week.